Film Plot: A somewhat romanticized account of the career of the notoriously violent bank robbing couple and their gang. Like The Graduate and Cool Hand Luke released in the same year, Bonnie and Clyde shook the foundation of the old-Hollywood studio system. 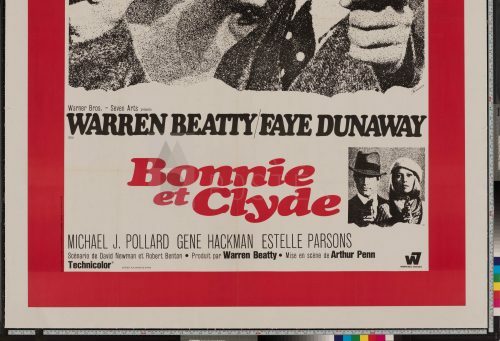 With its cinema verite style, realistic and graphic violence, and celebrated disregard for the authorities Bonnie and Clyde burst into cinemas and attracted throngs of young cinema-goers craving something different. 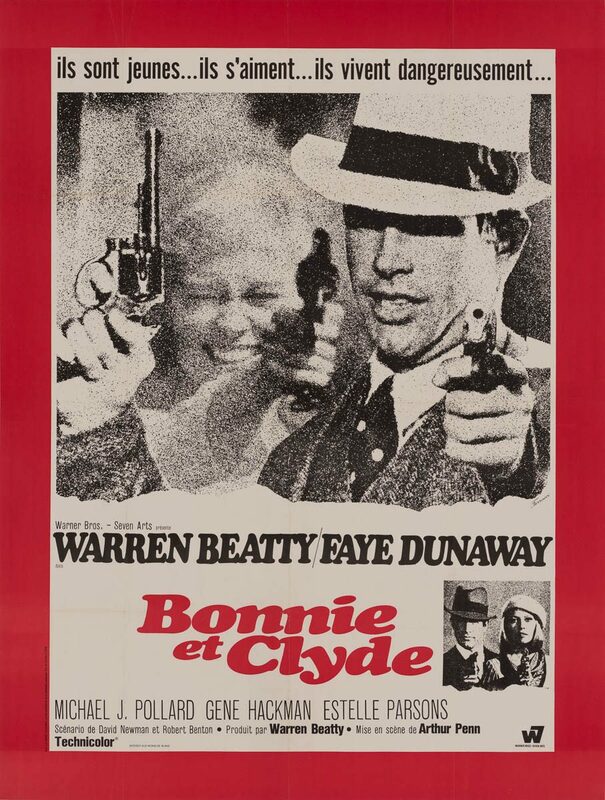 This French poster for Bonnie and Clyde is a pointillist masterpiece that even Georges Seurat and Paul Signac would have been proud of! The wonderful black and white design from René Ferracci is very abstract upon close inspection, but it pops into focus as the viewer steps back. 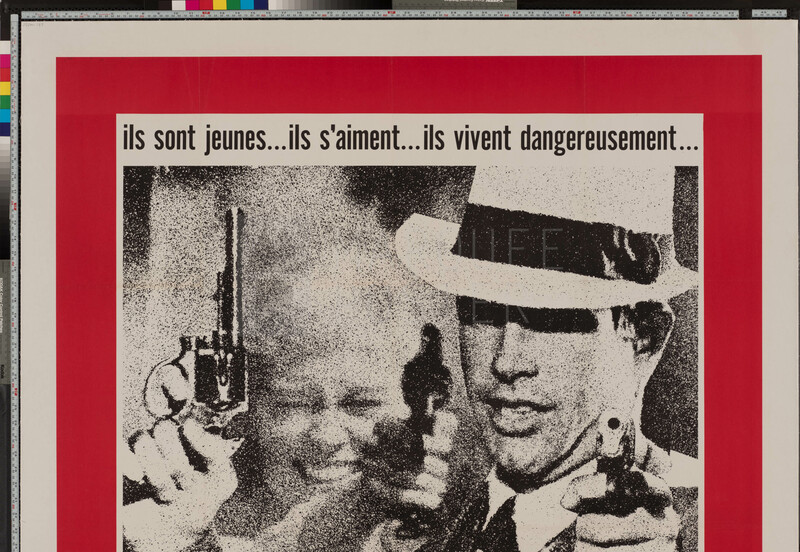 And the red border gives the poster a very bold presence.